First things first: you're only required to collect sales taxes from customers who live in the states where you have nexus. What should I list as my Address of Nexus in my State settings? 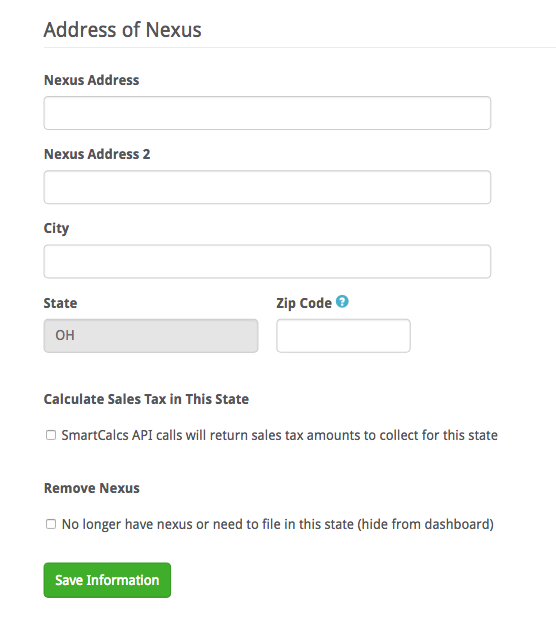 If your only nexus in the state is because of an FBA warehouse, you can leave the nexus address in your State Settings blank and our system will default to an Amazon warehouse. If you have another form of physical presence in the state in addition to FBA inventory, you should enter the address of your location that is creating nexus in the State Settings. You should enter the address of your location that is creating nexus in the State Settings.